Sugar Beach, A Viceroy Resort is discreetly positioned between Saint Lucia's iconic Piton mountains on the west-coast of the island. Private by its very nature and one of the most desired vacation spots in the world, Sugar Beach is the perfect hideaway location for an island home. One of the utmost conveniences of living at Sugar Beach is the hassle-free living that comes with ownership. The natural splendour of immaculate beaches, lush rainforests, the Caribbean Sea and tropical climate have been combined with exceptional five-star convenience to provide a once-in-a-lifetime opportunity for those seeking truly extraordinary experiences. Our full-time maintenance, housekeeping and butler teams are dedicated to ensuring the home, pool and gardens are kept pristine in your absence; while providing discreet, intuitive service throughout your stay. An Owner's Liaison Officer facilitates your needs and requests, even before your arrival. Enveloped by lush vegetation to create natural screening, the private entrance to the Villa leads into a high-roofed foyer. The two one-bedroom units sit either side of this shared foyer and may be used and rented independently or as a two bedroom property. The well appointed living room, which enjoys spectacular Piton views, includes a wet bar with mini refrigerator and nespresso machine and offers further accommodation on a sofa bed, with separate shower room located off the living room. The master bedroom, which also has fabulous views and overlooks the pool deck, has a king-size bed with ottoman and pop-up television. The master bathroom has a freestanding bathtub, double vanity, separate toilet and shower room with access the pool deck. The very spacious twin bedroom holds two queen-size beds, also with ottomans and pop-up television. This bedroom has a large dressing room with mini bar and fridge and the bathroom has a single vanity, separate toilet and shower room. 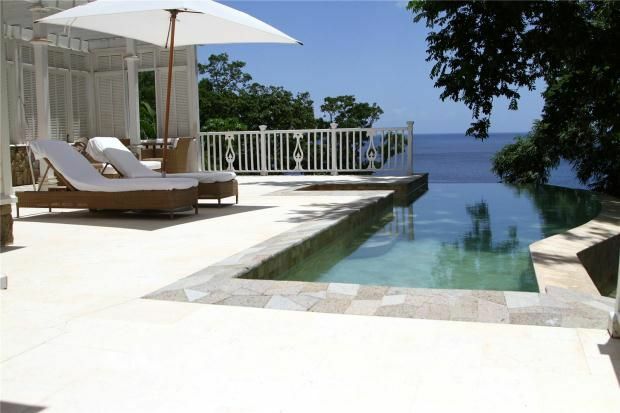 Outside, is a 1300 sq ft private deck with 33 foot pool – with great views of both Pitons from the Villa's elevated position. All Sugar Beach resort amenities and both white sand beaches are a short walk or shuttle ride away. Property descriptions and related information displayed on this page, with the exclusion of Running Costs data, are marketing materials provided by Savills - International, and do not constitute property particulars. Please contact Savills - International for full details and further information. The Running Costs data displayed on this page are provided by PrimeLocation to give an indication of potential running costs based on various data sources. PrimeLocation does not warrant or accept any responsibility for the accuracy or completeness of the property descriptions, related information or Running Costs data provided here.